Quirky Berkeley | Two Photos. Perfect Quirk. 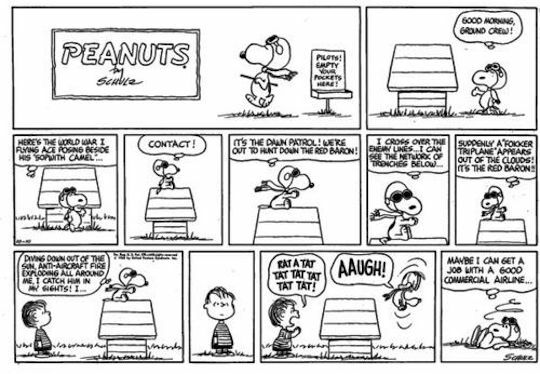 In the 1960s, we loved “Peanuts,” the comic strip created by Santa Rosa’s Charles Schultz. We loved the children and Snoopy, the dog. 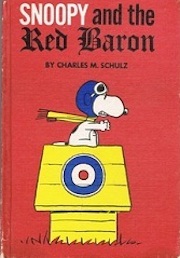 In the mid 1960s, Schultz introduced a story line in which Snoopy imagined himself a World War 1 flying ace, his dog house serving as a Sopwith Camel. He battled his nemesis, Baron Manfred von Richthofen, the ace of all aces of in the Great War, best known by his nickname, the Red Baron. 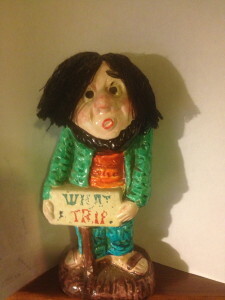 But it was not the worst. That honor goes to a novelty song. In December, 1966, it reached No 2 on the Billboard charts. Boy did we need us some new music! 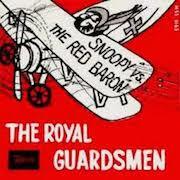 As the war in Vietnam spiraled into horror after horror, Schulz eased off the Snoopy vs. Red Baron story line. There was just nothing funny about war. Today we forget the wretched commercialization of Snoopy. We remember him fondly, and the simpler times in which we were as a nation enchanted by a comic-strip beagle. And in that spirt, we find joy when we see this not-mailbox on the backside of 81 Hillcrest. 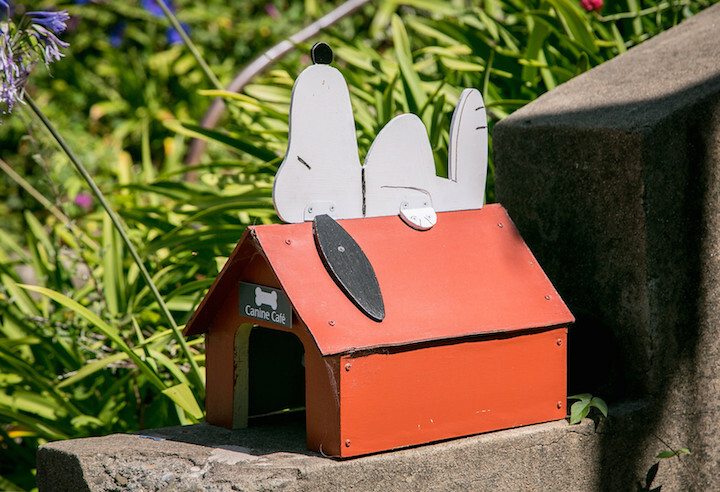 Claire Green created this Snoopy doghouse with dog biscuits inside for passing dogs on walks. 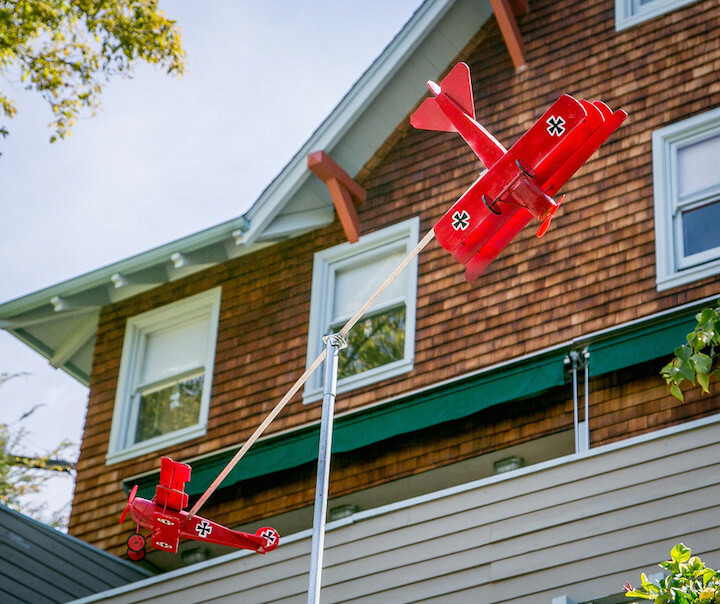 Claire told us that her husband Walter Garms, an algorithm genius, built these planes from scratch. She describe them as Fokkers, and spoke of a “Fokker-fetish-thing”. This may or may not be historically accurate. Only 19 of Richthofen’s 80 kills were made in a Fokker. He earned his reputation flying a bright red Albatros. Does it matter? No, I agree, it doesn’t. I showed the photos to my friend. He shuddered to remember some of the music of the era – “Winchester Cathedral,” “Henry the Eighth,” “Downtown.” And so on. But he “dug” the Hillcrest quirk. He was fascinated by Garm’s two planes. He wants to go see them in the wind. I said we would, that we could stop by Star Market while over on that side of town. That’s a treat. But, I asked, what about the two photos and my assertion of perfect quirk?